In Part 1 we introduced you to the essentials of weight training and in Part 2 we gave you some very specific training tips on how to build a more muscular physique. By this point your hopefully well on your way, but are probably wondering how you can tweak your diet to progress your gains even further. In Part 3 we’re going to look at some of the more diet-related tips that will add muscle mass. 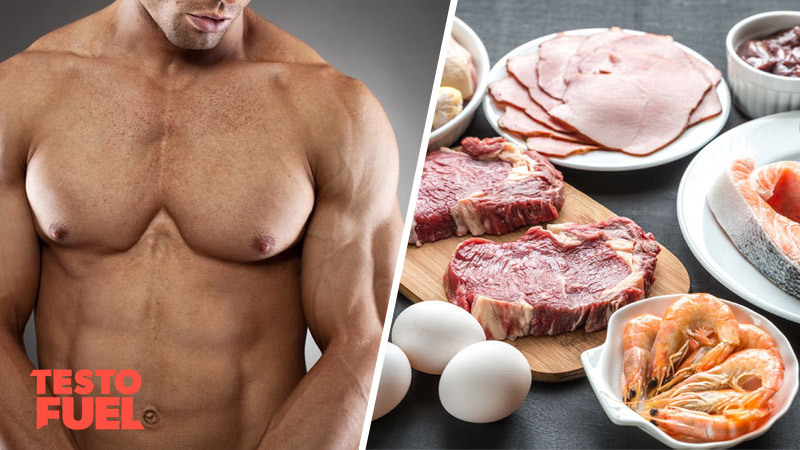 We’ll take a look at some of the basic rules of muscle diet optimization and how you can adapt your foods to accelerate new muscle growth. We’ve also added a 7 Day Muscle Mass Diet Plan for you to follow too. A good place to start with your diet is calories – you need energy from food to gain muscle. Whilst you can build lean muscle in a calorie deficit – a process called body recomposition – you’ll only maximize mass if you take in more calories than you need on a daily basis. This provides your body with a reservoir of spare energy from which to forge muscle cells. You can use our calorie calculator for an idea of how many calories you’ll need to maintain weight. By answering the questions below and inputting your daily activity levels you’ll be given a daily energy requirements amount. This is the number of calories you’d need to maintain weight, not build. Add an extra 500kcal to this number to really push your muscle building potential. If after a few weeks you’re not putting weight on then up it a bit more. Don’t overdo it though – too many calories and you’ll probably add too much fat to your frame too. These calories need to be made up of the three macronutrients – carbohydrates, proteins and fats. You’ll need carbs to fuel your workouts and recovery. Protein and fats are essential building blocks for muscle so you’ll need these too. Like we’ve mentioned already – protein is an essential building block for muscle cells. You should be aiming to hit ~0.8g-1g per pound of body weight with protein . By doing this you’ll optimize levels of leucine and other amino acids that are prominent in stimulating muscle protein synthesis. 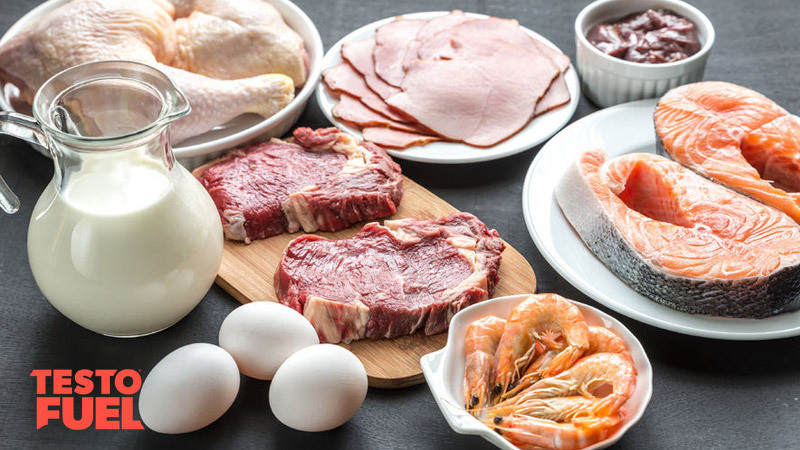 Make sure you don’t rely just on one source – meats such as chicken, turkey and beef should form the basis of your diet, but eggs are also an extremely efficient source of proteins too. Each source will provide you with other important nutrients such as cholesterol, zinc and vitamin D3. It is important that you maintain a positive net protein balance – this is where there is enough available protein in your body at any one time to spark the growth process off. If you go long periods without protein you can fall into a deficit which will blunt the growth process. To maintain a positive net protein balance aim to get ~20-30g of protein in your body every 3-4 hours . 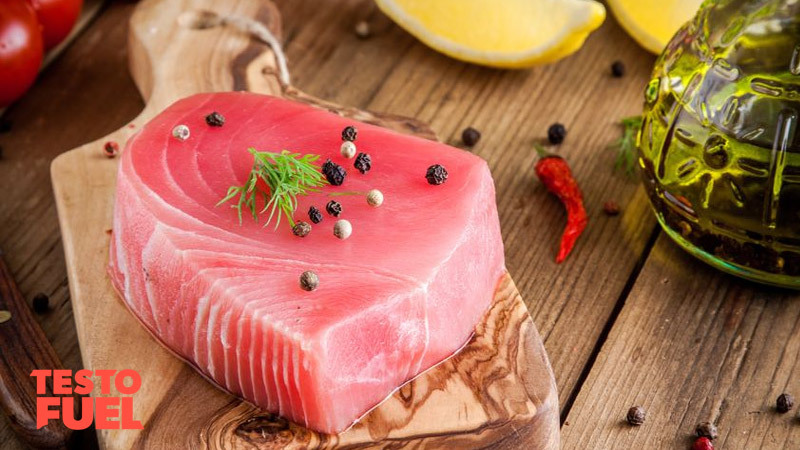 Another great protein source is fish – but we’ve added it to this list not for its protein content, but for its fat and nutrient profile. Oily fish such as mackerel, salmon and trout contain large amounts of the omega 3 fatty acids EPA and DHA. These types of essential fats not only benefit brain health and reduce cardiovascular risk, they also boost muscle growth. Studies show that omega 3s can stimulate muscle protein synthesis and activate an anabolic mechanism called the mTOR signalling pathway . When activated, this pathway triggers the increase in muscle cells leading to overall muscle mass. Omega 3 fatty acids are also useful in offsetting sarcopenia – muscle loss in the older male . More isn’t necessarily better though – aim for 2-3 meals a week that contain fatty, oily fish. Don’t forget that the high fat content will soon use up your daily calorie allowance. A good night’s rest is essential for promoting growth. The down side is though that you’ll likely fall into a net protein deficit over the 8 or so hours you’ll be asleep. By eating a slow-release protein source such as a whey-based snack, you can help to keep protein levels topped up and improve overnight recovery . 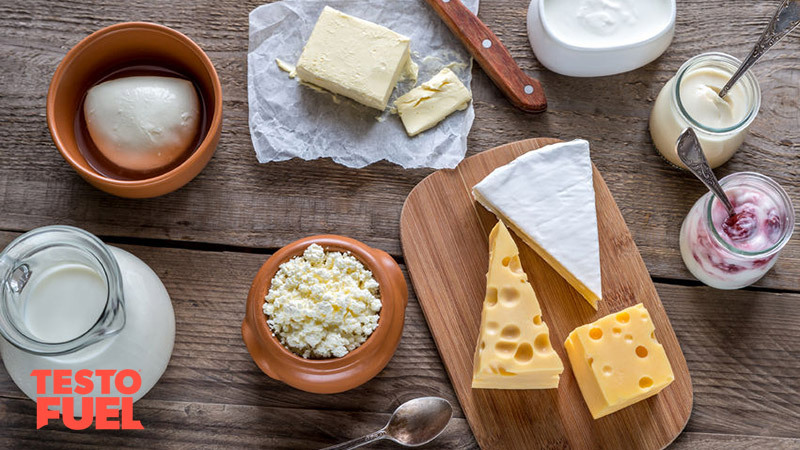 Good choices of bedtime snack are cottage cheese or milk, which both contain a specific type of phosphoprotein called casein. The molecules of this protein source are able to clot in the stomach which slows down digestion and provides a constant release of protein. The addition of a slow-releasing, complex carbohydrate will also help. Carbs trigger an insulin release, which in turn elevates levels of the amino acid tryptophan. This then travels to the brain and coverts to serotonin – an important regulator of sleep quality. Having sufficient testosterone levels is essential for muscle building – it is the primary driver of muscle mass. Studies have shown that having low T can seriously affect lean muscle levels . Likewise, studies have also shown that increasing T levels can boost muscle mass . In order to elevate your T levels you need to eat foods that are nutrient dense. Foods such as oysters and pumpkin seeds will provide you with zinc – a mineral essential in producing testosterone. Nuts, avocados and the occasional dark chocolate square will give you a magnesium boost and eggs will provide you with a much needed hot of vitamin D3. To really charge up your testosterone we’d recommend you also supplement your diet with Testofuel. The addition of oyster extract, zinc and D3 to your diet will provide you with all of the building blocks to compliment your new eating and weight lifting plan. Here’s a week long eating plan that is based on an average weight, athletic male – it should be adapted based on your individual needs. We advise that when undertaking a new diet plan you seek guidance from your medical professional. This diet is based on a healthy individual without allergies, illness or disease. Storer, TW et al. Changes in muscle mass, muscle strength, and power but not physical function are related to testosterone dose in healthy older men. J Am Geriatr Soc. 2008; 56(11): 1991-9.